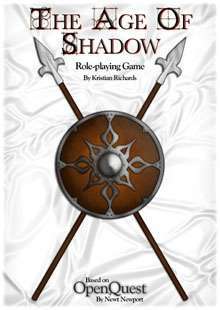 The Age of Shadow is a complete fantasy role-playing game based upon the OpenQuest system. As such, the game utilises a simple percentile rules mechanic to resolve most actions (making it suitable for beginners and veteran role-players alike), and is set in a mythical world of elves, men, and fearsome monsters. 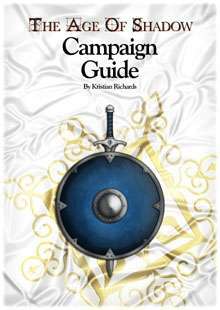 Note that more information concerning to the world in which the age of shadow is set can be found in The Age of Shadow: Campaign Guide (also available from Crooked Staff Publishing).